There are many ways we can use our commitment to fitness to give back to others. Many exercise studios offer charity classes to raise money for local causes or teach free fitness classes for low-income families. There are also many places to donate old running shoes and other fitness supplies so they can be repurposed and recycled for use by those in need. We’re all familiar with 5K events and walk-a-thons that raise funds for medical research or community projects. While it’s easy to find ways to give back through established organizations, there is also unlimited potential to serve others by designing your own fundraisers! 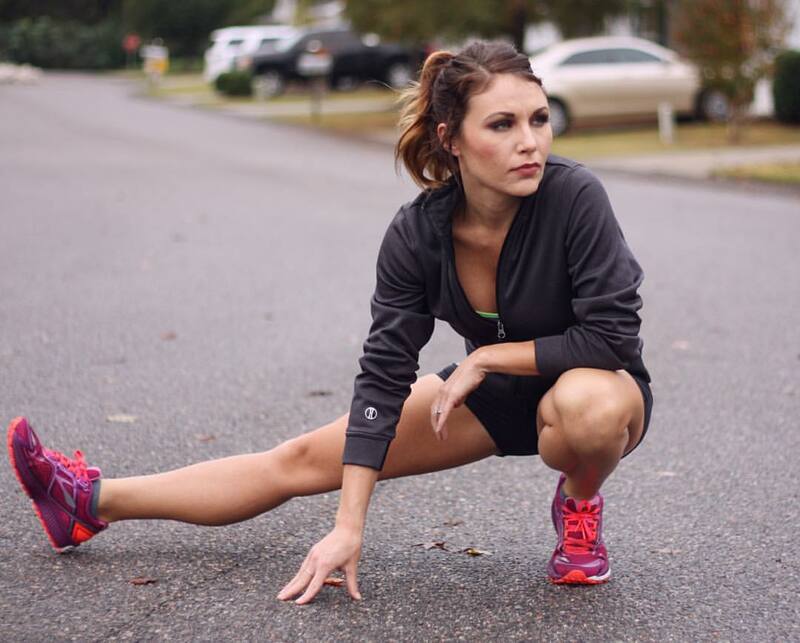 Last Thanksgiving, as most Americans were loosening their belts, fitness fanatic and Holloway model Lesley Koppert was lacing up her running shoes to run across the entire state of South Carolina in a self-started fundraiser to benefit the homeless in local shelters. Saddened by the thought that the homeless would miss out on time with family and a warm meal, Lesley and her husband decided to raise money and collected canned goods to donate to two local South Carolina organizations, the Salvation Army of Aiken and Mt. Salem Outreach Mission of Gloverville. With the support of friends, family, and their community, the Kopperts were able to surpass their $2,000 goal. On Thanksgiving Day, Lesley set off running from Tega Clay, South Carolina. Over the next four days, she ran 138 miles across the state to finish her run in North Augusta, South Carolina. The tremendous success of her run has inspired the whole Holloway team! You can channel your dedication to your personal fitness or the success of your team to give back to others! Sports teams can collect canned goods from neighborhoods or work with a local recreation club to teach technique to younger players. You can set up donation bins at sports events or home football games to raise money or goods for those in need. With a little work and creativity, even independent athletes like Lesley can find a way to reach out and inspire others with their commitment to worthy causes. The possibilities are endless! Do you have an idea for how to help your local community through fitness? Share it in the comment section below!